I watched the movie "Born Into This" about (Hank) Charles Bukowski. I watched the sun burn windows on the way from home. 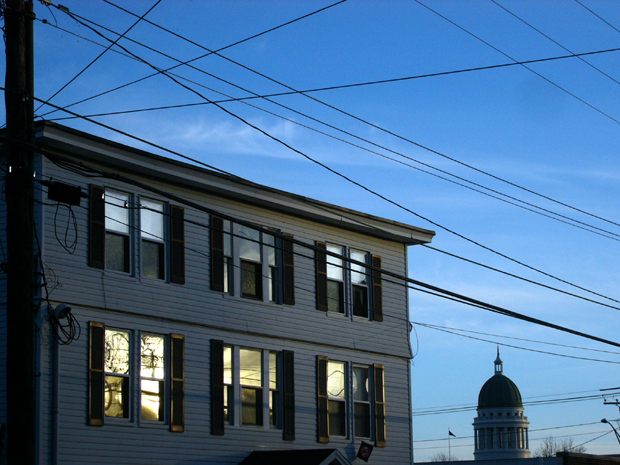 An apartment building and the Maine Capitol.